After attending a dozen or so investor conferences over the last year, I was amazed at how lopsided the attendance is. Presenters at these conferences – the folks looking to raise capital – are typically totally disproportionate to the actual “real live” investors with mandates to invest. In some cases, it’s astonishing; recently, I was at a three-day conference that had one 45 minute panel of VCs – and that was it! Even worse, most of these investor conferences are just a mosh pit of 3rd party service providers seeking funded startups to sell their products to. Like any entrepreneur, I couldn’t help but think that there has to be a better way of matching early stage science with early stage investors. In light of that, LSN is pleased to announce Redefining Early Stage Investments, an ongoing global conference series focused on creating and maintaining a dialogue between emerging therapeutic, diagnostic, and medtech companies, and early stage life science investors. As the name implies, this conference series aims to present the new landscape of early stage investments in life sciences, a rapidly shifting arena in which yesterday’s rules are no longer in effect. The traditional path to raise capital has been through friends & family, angels, government grants, and venture capital. Government sequestration and VCs with limited mandates has made the pool for capital in those two venues tenuous. However, new investors have entered the arena, and Redefining Early Stage Investments seeks to map out the new landscape. So how is Redefining Early Stage Investments different? It seeks to fill the void left by traditional investors by identifying and actively including new categories of investors, including venture philanthropy, patient groups, corporate development, and virtual pharma. Previously, large institutional investors, family offices and wealth mangers would fund the VC channel, but subpar returns over the last decade have forced these entities to rethink past money manager-centric strategies, and now they invest directly themselves. These new direct investment players such as family offices, endowments, foundations, and pension funds are in it to win it, along with the other new active life science investor groups – hedge funds, mid-level private equity and angel syndicates. 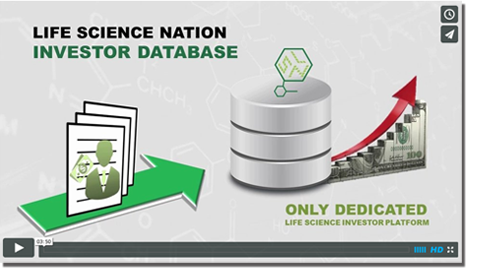 All the aforementioned entities have changed the life science investment landscape, and LSN wants to feature & connect these new players to the new innovators. The conference will feature an exclusive partnering pavilion solely dedicated to early stage entrepreneurs and life science investors. Service providers will be there as sponsors, and there will be plenty of opportunities to meet with them as well. However, this investor conference is meant to be different in that it creates & facilitates meetings based on a common fit, which promotes compelling conversations and the development of qualified investor relationships. The conference is an all-day event, set in the heart of Boston, the global hub of life sciences. It will feature eight unique early stage investor panels that will provide the latest perspective on the state of investments in the industry. These sessions will run concurrently with presentations featuring some of the hottest biotech & medtech startups in the life science arena. Who should attend? Redefining Early Stage Investments is ideally suited towards emerging biotech & medtech companies seeking to raise capital or out-license technologies, early stage life science investors, companies seeking to in license emerging technologies, and organizations that sell products & services to emerging companies. Click here to register now!